Patricia Shippee is an accredited senior member of the American Society of Appraisers, designated in Personal Property: Fine Arts, and provides appraisals of paintings, sculpture and works on paper for insurance, estate, and charitable donation purposes. Patricia Shippee’s expertise has been acquired through her corporate business experience, her studies in art history, and as a collector, gallery owner, curator. 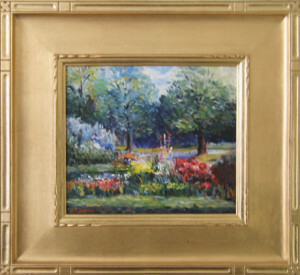 Utilizing skills and more than 30 years of experience as a fine art dealer, gallery owner and artist representative, Patricia Shippee Fine Art LLC serves as a professional appraisal and consulting service for individual collectors, attorneys, accountants, banks, corporations, insurance agents in the Connecticut, New England and New York areas. Fine art appraisals are rendered as a confidential and personal detailed written document. Appraisals are prepared for insurance coverage or loss, charitable donation, and estate planning and/or equitable distribution purposes. We appraise fine art of most periods including paintings, prints, drawings and sculpture. Appraisal reports are prepared in accordance with the Uniform Standard of Professional Appraisal Practice (USPAP) promulgated by the American Standards Board of the Appraisal Foundation as authorized by United States Congress. Also serving as a Consultant, a wide range of services are available to meet client needs, including art collection inventory, research of artwork, purchase or sale advice. Consulting and Appraisal fees are based on an hourly rate plus out-of-pocket expenses and are never based on the value of the art or the property being appraised.